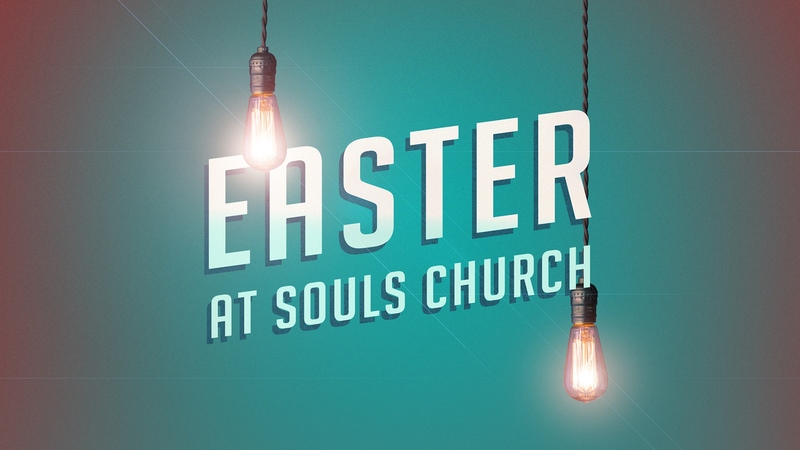 Join us Easter Weekend at Souls Church as we celebrate what Jesus did for us through uplifting music, a personal message of hope, an exciting kids service and more! Note: Childcare is available at every service. 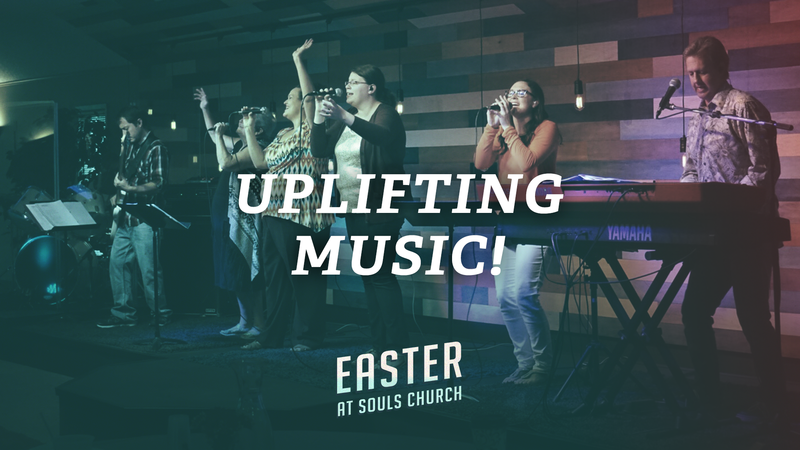 Each service is 75 minutes long. 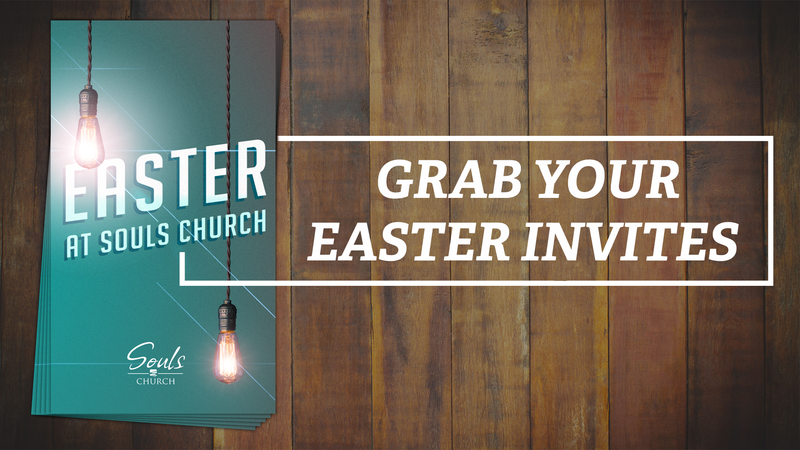 We invite you to make Easter a family event. 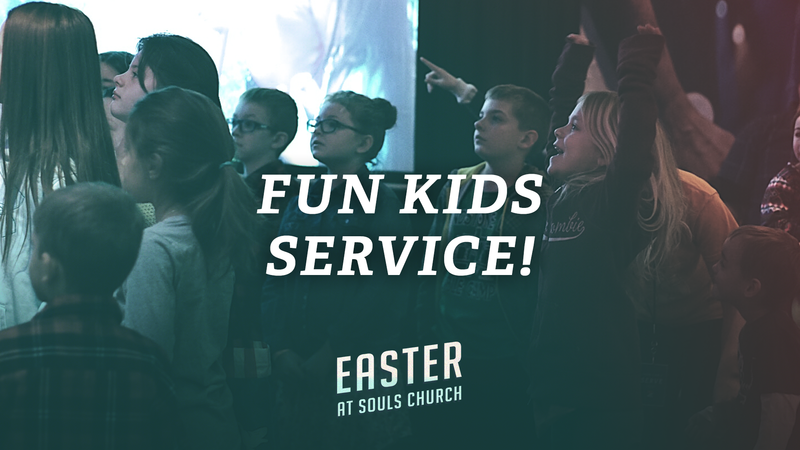 We want your children to experience the power of Easter too, which is why we have created a high-energy Souls Kids service (for ages 3 through 11) where they will receive the Easter story through an interactive message, music and craft projects that is specifically tailored to them. We also have excellent nursery care for children under age 3, beginning with check-in at 9:30 am.